UnioGraph is an image creation software, which combines images to new images. 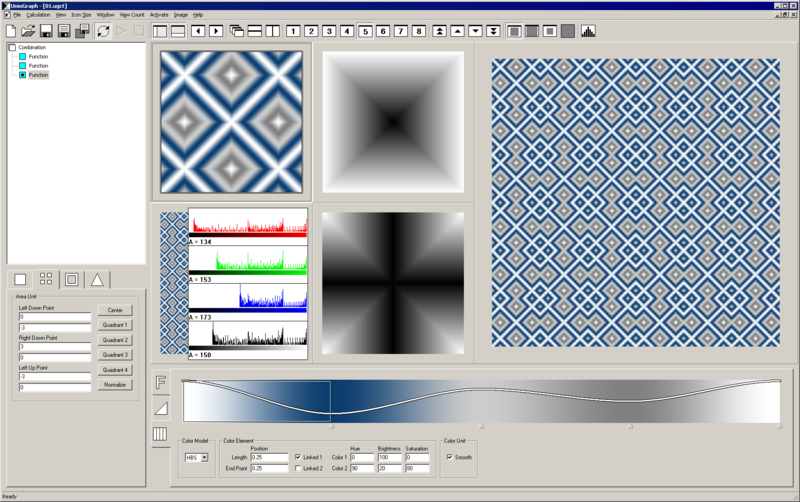 This method enables the creation of shapes, patterns and tilings in great variety. The cell is the basic element in UnioGraph. Each cell contains an image and all the data, necessary to calculate this image. The combination cell can contain further combination cells in its list, so it's possible to form a tree structure. Copyright © 2017 by Adrian Maurer. All Rights reserved.